The annual revenue of the U.S. weight loss industry, including diet books, diet drugs and weight loss surgeries. The number of people on diets in the United States (that’s one-third of the U.S. population). Dieters typically make four to five attempts per year. The percentage of customers consuming weight loss products and services who are female. The number of people with morbid obesity in the United States who had bariatric surgery in 2019. “I believe that, coming out of the last recession, people are heavier than ever, due to a shift to cheaper fast food, comfort food, and stress-related eating. Consequently, dieters have more weight to lose than ever before and it will take longer to reach their goal weights.”, according to John LaRosa, the Research Director at Marketdata Enterprises. 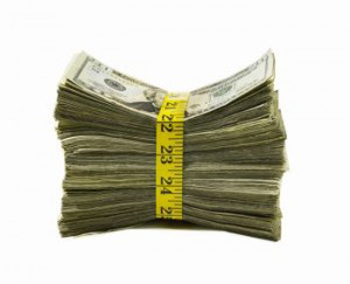 The average salaries paid to celebrity endorsers of major weight loss programs. Think Jennifer Hudson for Weight Watchers, Mariah Carey for Jenny Craig, and the Kardashians for QuickTrim. Cost for a week-long (six night) weight loss program at Beau Rivage Palace, a luxury hotel in Lausanne, Switzerland. The program includes massages and personal training sessions and discourages deprivation. That’s more than twice what it costs to stay domestically at one of three Biggest Loser Resort locations. With all the staggering numbers, LaRosa explained why they will just continue to rise this year.